Nexus Expeditions is finally back in Ulaan Baatar, Mongolia! Dimitri is getting ready to start the next section in Kharkhorin, Western Mongolia. which should be on bicycle from Mongolia to Western Africa, via China, Kazakhstan and multiple other countries. Very happy to report that we have arrived in Kazakhstan! We would love to relate to you on this blog in pictures and words how went our 1332 kilometers in Xinjiang province, China, but at this stage we prefer postponing this matter until we take a break from the expedition in late December. The temperatures are rapidly dropping in southern Kazakhstan, and therefore we need to first and foremost keep moving west during the next few weeks. In the meantime, feel free to enjoy a few shots we have taken in China and posted recently on Instagram. So, we were able to contrive our way to cycle the 7 kms No man's land / buffer zone on Wednesday night between Khorgas, China and Хоргос, Kazakhstan, without been forced to ride any bus as it has been somewhat customary recently for some other cyclists/walkers going across this border. No GPS were confiscated, 2 time zones were gained, and we had the pleasure to witness one of the most circus-like border crossings we had both ever seen. Last year, there was a deadly incident in the region which could explain the tense environment at this border crossing. Once past the initial threshold described above, we were very well greeted by the multiple Kazakh border guards/ immigration officers we met, all welcoming us to Kazakhstan. Since we arrived in Zharkent three days ago, we first spent an enjoyable diner with two helpful young Kazakh cousins Ernur and Ermek. We also spent time at the local bazaar/market where we observed a mishmash of Kazakhs, Uyghurs and ethnic Russians, all selling some of their respective traditional food items which we were glad to sample, such as Uighur kebabs, pilafs, home baked bread, Kazakh manti and Russian pirozhki . At the market, I received free service from a welder and a cobbler, both telling me that they couldn't charge a travelling cyclist, no matter how much I insisted to pay. This definitely made me feel even more welcomed in Kazakhstan! While in Zharkent, we also took the time to visit the local orthodox church which was the first christian establishment I visited since the time I spent at the Catholic cathedral in Ulaan Baatar, back in August. Indeed, since then, on our way, we have mostly spent reflecting time in Mongolian or Chinese Buddhist temples as well as in Chinese Hui, Uighur or Kazakh mosques. In Xinjiang province, we also had the opportunity to visit Buddhist temples and Manicheist ruins which were built by Uyghurs before they converted to Islam, 600 years ago. On this topic of coexistence, we had the pleasure today to visit as well in Zharkent, a beautiful Chinese designed mosque which, with its floating roof, resembles more of a pagoda. Kazakhstan has complex registration rules for foreigners. Gulnara, as a Russian citizen does not have to register for one month, but myself with my Kazakh visa on my American passport, I am required to register within my first five days in Kazakhstan at one of the two migration police posts "nearest" to Zharkent, either 300 kms away in Taldykorgan or 300 kms away in Almaty. So, yesterday, because I was not made aware that I couldn't register in Zharkent until my 3rd day, I had to travel a fast 600 kms round trip in an affordable shared taxi in order to go and register at the Almaty migration police office. I am now back in Zharkent where I have been reunited with Gulnara and my bicycle! Starting tomorrow morning, we plan to ride 350 kms from Zharkent to Almaty and visit on our way the "Valley of the castles" in the Charyn canyon . Ürümqi, Uyghur Autonomous Region, Western China 1863 kilometers cycled since Kharkhorin, Central Mongolia 1223 kilometers in Mongolia; 640 kilometers in Xinjiang Province, China 34 cycling days since Kharkhorin. 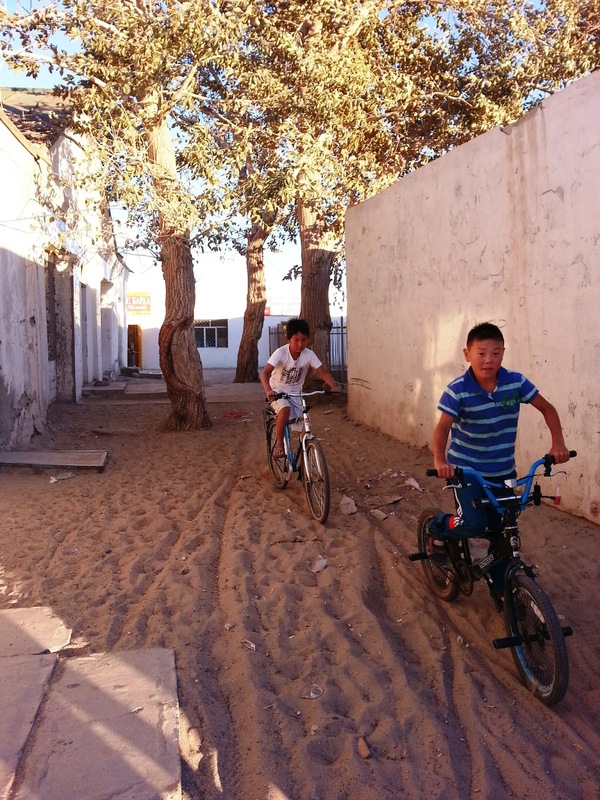 Cycled into Urümqi (Chinese Xinjiang Uighur autonomous Province) on Wednesday October 23rd. First of all, let me say that after my first 640 kms through this Chinese western "new frontier", I can honestly say to anyone who still thinks of China as a sweat shop on the Pearl River, to please come and see this place with their own eyes. - Gulnara flew in Urümqi on Thursday Oct 24th from Kazan to cycle the next section with me. Quite thrilled to have her back on the trail by my side! - In addition, my 1 year Kazakh visa has been approved and it will be ready on Thursday October 31st. This gives us in the meantime, one week to explore Urümqi and its surroundings and start cycling westward 660 kms towards the Kazakh border on Nov 1st. 2005-2012 Pictures Update! We have posted new Nexus Expeditions pictures in Flickr for the years 2005-2012, from Anchorage, Alaska until Kharkhorin, Mongolia! We will probably wait until we stop cycling sometimes this winter for a limited period (to take care of administrative and visa related matters) to seriously update the blog with latest stories from Mongolia and China as well as post 2013 pictures! It is indeed not the easiest to access/update this blocked blog website within China (because of current Chinese governmental imposed restrictions) and therefore it makes the most sense to wait until we have cycled on to Kazakhstan and further west to do so. In the meantime, we hope you will enjoy these shots taken on the trail between 2005 and 2012! I now plan to cover the remaining 1000 kms within Mongolian territory in the next 14 days, in order to arrive at the border on Monday September 30th, prior to the expiration of my latest Mongolian visa on October 2d 2013. China will be observing their " National Day" holiday between October 1st and 3d and consequently, the border will be closed for these three days. This is an additional reason why I really need to pass through the border prior that date. This is actually easier said than done, because this next section entails only 200 kms of asphalt while the remaining 800 kms are mostly covered with sand and rocks. The current altitude in Bayankhongor is 1880 meters and I will have at least one mountain pass to cross at an approximate altitude of 3000 meters. Along my route, I will only pass three villages, distant apart, where I will be able to resupply in food and water. 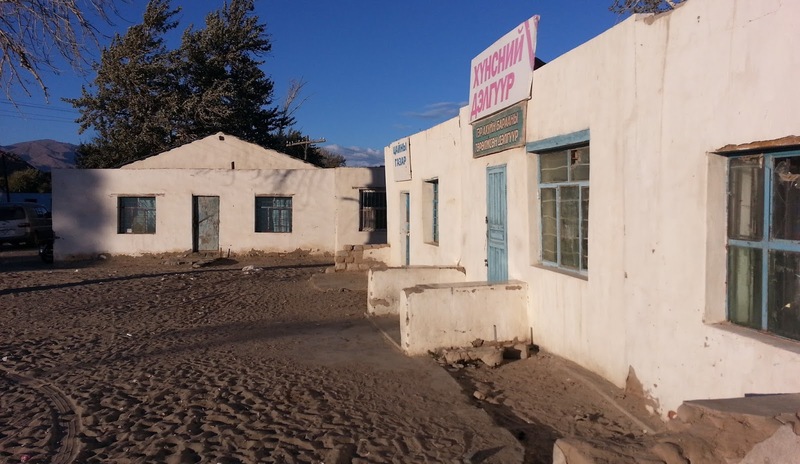 Between these settlements, they are only a few goat and camel herders in this northern part of the Gobi desert where I will be able to resupply potentially in water and camel milk. However, I must say that I am very much looking forward to these two weeks of Mongolian solitude and somewhat remoteness, prior to entering western China where I was told I will be confronted to a massive amount of people. 1. We are currently posting lots of 2005-2013 Nexus Expeditions pictures in flickr and in the photography section of the website. We will add further descriptions and details over the next few months but for the time being, feel free to enjoy them in their raw form! 2. 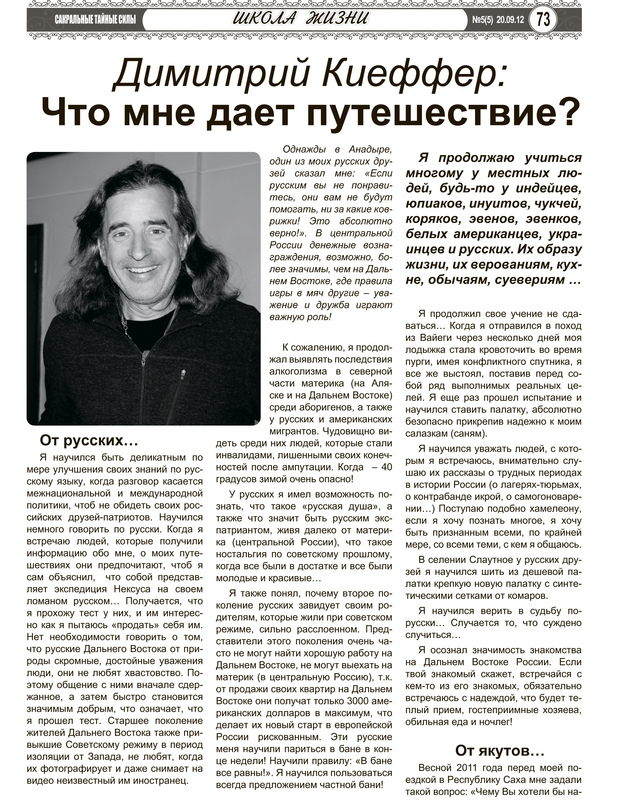 Explorersweb published in August an interview of Gulnara and an interview of myself. Feel free to read these two articles as well. Once I arrived in Kharkhorin , and prior to my 2013 late expedition departure, I had the pleasure to stay with Ekye, the kind and generous owner of Monkhsuury guesthouse in Kharkhorin. While in town, I met Xavier, a Frenchman who organizes horse rides for tourists in the beautiful surroundings, as well as my Mongolian friend Tuya who locally runs a metal junk yard. I also had the opportunity to listen to a stunning Mongolian throat singing concert. After having spent some reflecting time in company of lamas at Erdene Zuu monastery, I finally departed this ancient Mongol capital of Karakorum on Sunday August 18th to progress towards southwestern Mongolia and western China with a fully loaded bicycle. I covered the next 386 kms in eight cycling days, having to deal with some hard rain, deep deep mud, strong winds, a few mountain passes and two flat tires (which now makes a total of three flats in a total of 6500 kilometers since I departed Omsukchan, not bad considering the terrain and the amount of weight I have been pulling ). Of the three options I had previously identified through Western Mongolia, I finally selected to embark on what I was callling the "Central adventurous route through hot springs". This route lead me through some beautiful and remote landscape where I enjoyed the company of a large amount of prey birds as well as countless intriguing and curious yaks. 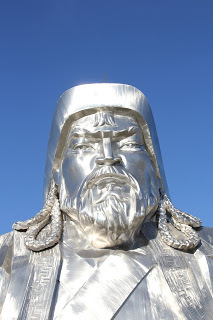 This plan went well indeed until I reached the town of Zuunbayan-Ulaan where a russian speaking Mongol told me that the road to Uyanga had been closed. Indeed, he mentioned that the river crossing had a strong current and that the water level had raised with the recent strong august rains to reach an alarming "neck high" mark. Therefore, this was definitely too high for me to ford with my heavy long tail end bicycle. He also stated that on the previous day, a 45 years old Mongol man had perished and drowned while attempting to cross this furious river at this specific location. Bless this poor man's soul. 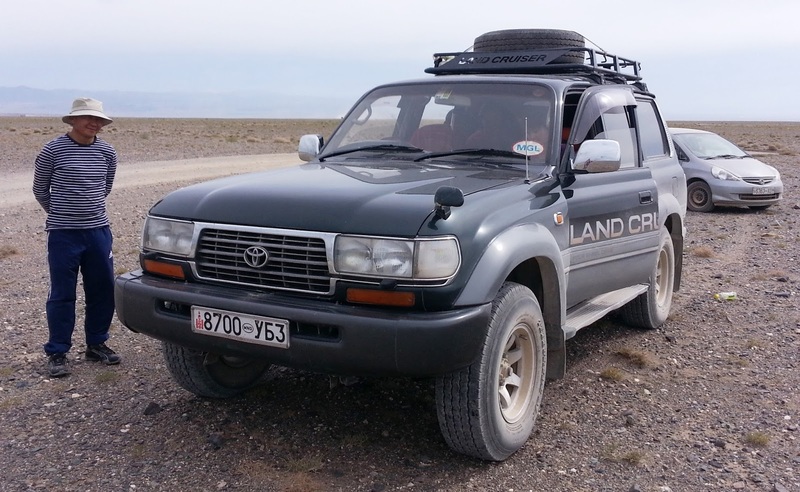 This is when I realized that I seriously needed to leave the mountain range and get back to the lower lands in order to embark on the safer and drier southern route through Mongolia, which travels through the northern section of the Gobi desert. I was now committed to leave the wet "Yakland" to embark on to the drier "Cameland". While going through "Yakland", the thick mud definitely caught me by surprise, despite what I have experienced in the past in Northeastern Russia and Vietnam. At one point the mud was so compact, that my entire wheel disappeared. While attempting to yank it out, I torn my Brooks saddle which I was stupidly pulling on. In the end, I had to wait to ask for the help of two Mongols, who were passing me by while attempting a similar perilous journey on their motorcycle. They stopped and aided me to pull this bicycle out of this "quick sand" and in exchange, they asked for cigarettes which I could not offer since I have barely ever smoke. I ended up having the Brooks saddle welded back together, the next day, as soon as I arrived in Arvaikheer at the first welding shop I could set my eyes on. Over the next 1000 kms of Mongolian trail, I have also at least one major river to ford/swim through which is Badrik Gol. 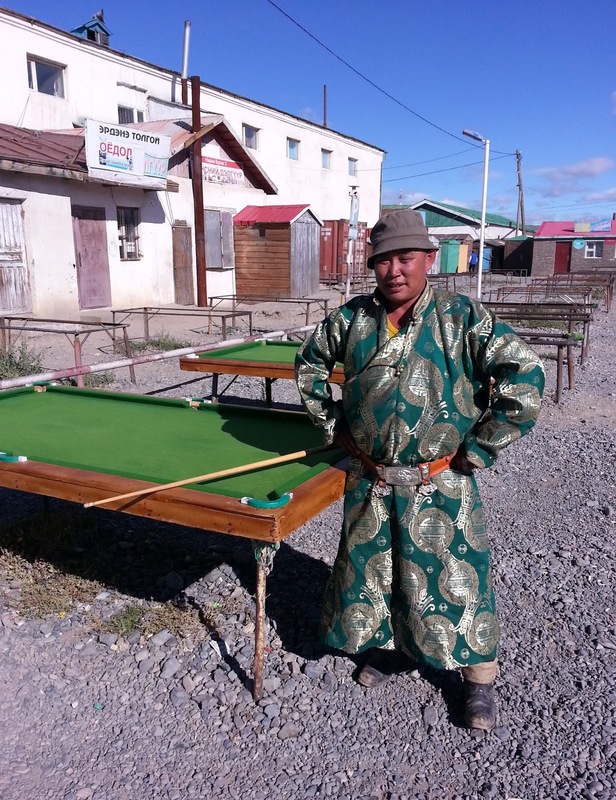 I had the pleasure to spend my last night in Yakland, with a family of yak and sheep herders. As I was coming down the mountains on a sandy and muddy trail, I noticed how Yargal, a Mongol herder on his Chinese motorcycle, intrigued to see me cycling through this trail, leapfrogged me on several occasions, stopping every time a bit ahead of me to observe how I was progressing. 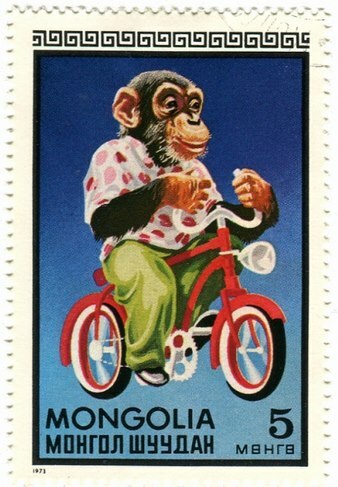 On a dryer patch, he finally asked me if I could let him try to ride my bicycle. Having observed when I was kindly asked, on countless other occasions,other Mongols and Russians struggling while attempting to ride my fully loaded bicycle and often consequently falling. I was a little nervous to loan to Yargal my tricky bicycle, thinking that in the event of a "catastrophe", the nearest shop was probably quite a few hundreds of kilometers away... But then again, this type of "loan risk" is nothing new for me. I can still recall in 2006 in the remote village of Nashken in northern Chukotka, when my expedition partner Karl Bushby justifiably went ballistic on me for having loaned my precious and only pair of back country skis to local Chukchi boys. Luckily the skis reappeared safe and sound from the tundra two hours after having been loaned. Consequently, we were able depart from the village and progressed on a few more hundred kilometers of open tundra while pulling our sleds. Call me unwise if you wish but I guess now that I have been running my own expedition for a few years, I am willing to assume this risk from time to time in the name of "nexus" while connecting with a multitude of earthlings along my way. 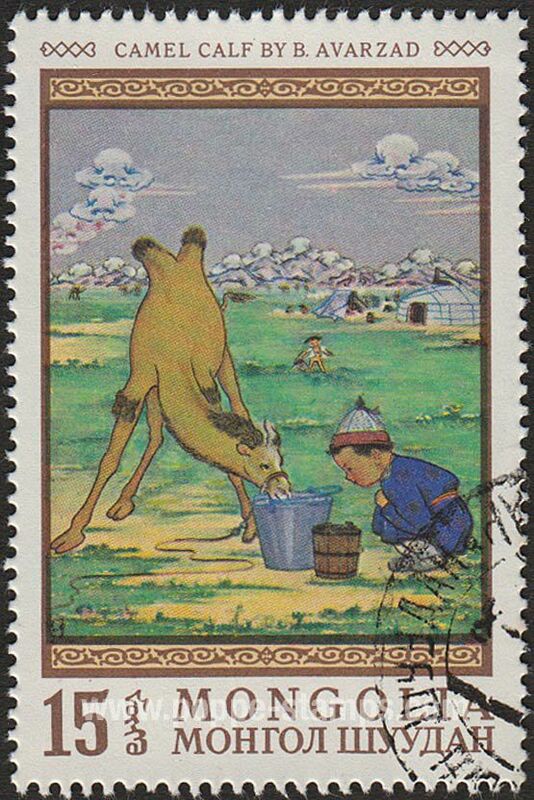 After having attempted to ride my Big Dummy while wearing his deel, and falling, Yargal asked me if I would be interested to escape the incoming strong rainstorm in order to have a cup of Suutei Tsai (Mongol tea) in his ger with his wife Aretseren. However, before tea, as he stated, we needed to herd his animals back to his camp. This is when he inquired whether or not I would be interested to herd a dozen yaks back home while he was fetching the hundreds of geographically scattered goats and sheep. I am not sure if anyone of you has ever done so, but herding rambunctious yaks through 5 kms of trail-less rocky Mongolian open steppe with a fully loaded bicycle is a good work-out in itself! I quite enjoyed the experience but I must say that I do understand why I have never seen any other yak herders on bicycle. Horses and motorcycles tend to be their modus operandi. After a few minutes of gestural discussion, Yargal proceeded to show me in his ger "pantry", the body of a freshly shot dead marmot. He mentioned how tasty it was and asked me if I was interested to purchase it. I declined the offer, not quite sure how I will proceed to skin and eat this marmot on the road, (and especially after having enjoyed watching countless prairie dogs and other marmots popped up and down out of their dens in front of me while I was cycling quietly through the Mongolian steppe. Nevertheless, Yargal invited me to spend the night in his company and the one of his wife in their cozy, well furnished and well maintained ger, located in the middle of the open steppe. For diner I was offered copious amount of fresh ayrag (fermented mare's milk) and boiled chunks of horse meat which were to be dipped in a pinch of salt. Nothing less, nothing more. Definitely all the proteins my body was craving for after a long muddy ride. 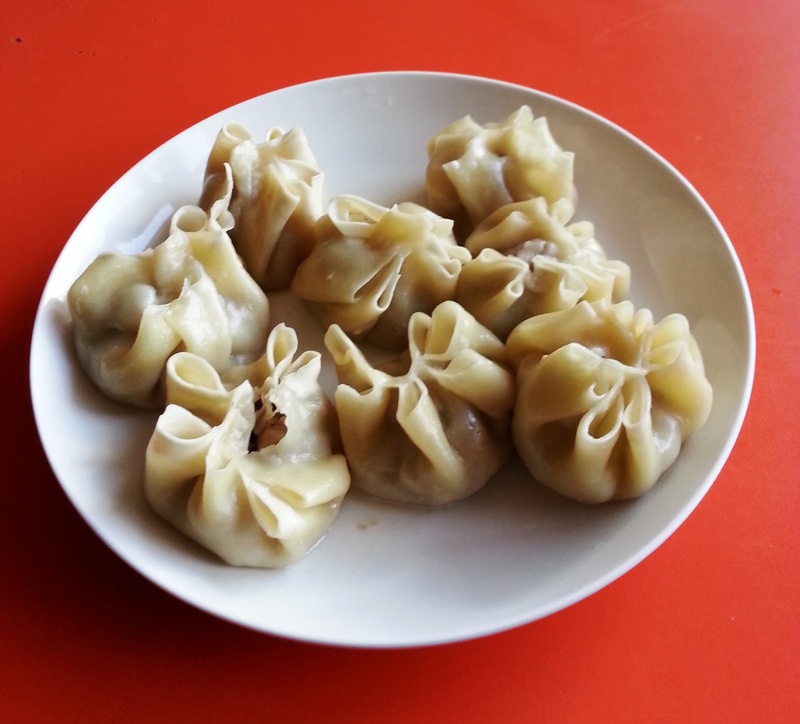 I believe that Mongolia can be definitely one of the most challenging countries to cross for any hard-core vegetarian self-supported cyclists, unless they can heavily rely for their intake of proteins, on the abundance of Mongolian dairy products. Vegetables and especially fruits are definitely a rarity on the Mongol herder's table. Historically, a vegetarian diet is really not part of a nomadic life style, which requires a certain sedentation to grow vegetables. On a few other nights, I was also invited to sleep in other herders' gers but I thankfully turned down these offers since I wanted to make further progress while going uphill and actually quite enjoyed spending some peaceful nights in my tent, nestled in a few mountain passes, somewhat hidden from the road, and while being " lullabied" all night by the sound of nearby ruminating and roaming horses. If possible, while going through mountainous regions, I usually enjoy forcing myself to ride to the top of a mountain pass in the evening or early night and find in its vicinity a peaceful place to camp. This usually allows me to start the next morning with a nice downhill which I very much look forward to. In addition, besides being very thankful for their generosity, I must say that I was and continue to be definitely impressed with their wide taste in hats and face masks which I enjoy photographing! At one point, I crossed a poorer part of Mongolia, where a few herders were apparently desperately hanging on their ancestral land despite the growing aridity. were simply asking me to give them whatever they could think of, such as my sunglasses, speedometer, gps, watch, even cigarettes which I definitely did not have. This was definitely an intriguing dichotomy between the adjacent "givers" and "takers". I was glad to swiftly pass through this region in one and half day. On a side note, going forward, I may need to have a better locking system, while travelling alone. Along my way, I also met countless road workers which I incessantly thank for progressively turning this southern Mongolian dusty and sandy trail into a beautiful asphalt pleasure dome! I was even offered once, copious amount of quenching salty dark tea by two engravers/sculptors who were busy creating a map of Mongolia, while working in the exposed sun. The southern Mongolian wind which I was anticipating, came to visit me on a few occasions. As some of you can probably guess, it was of course always a headwind, which intensify itselt on a few evenings. At one point in time, I was completely unable to proceed further, and stopped to lay on the ground, hiding behind my bicycle for an hour, waiting for the storm to pass. This is when I started wondering what I could do, if in the course of this long human powered circumnavigation of the globe, I would ever come face to face with a tornado while riding my bicycle. 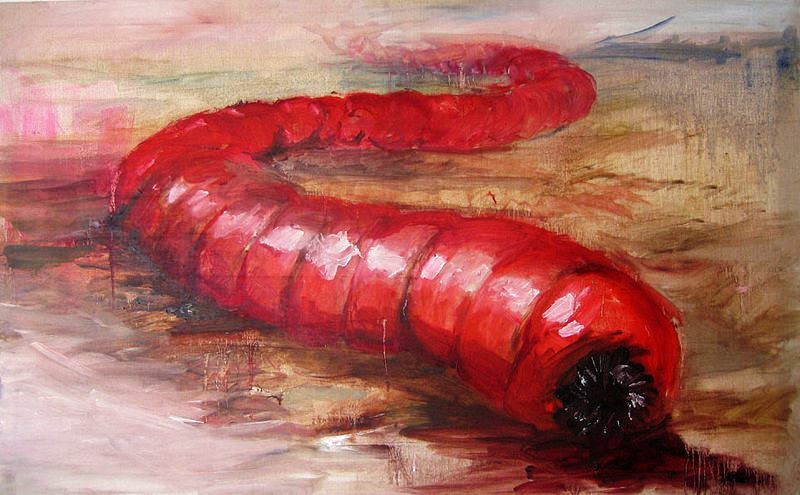 Before leaving Kharkhorin, a Mongol friend had also given to me a drawing to fully warned me to not come in contact with Olgoin-Khorkhoi, the infamous Mongolian giant death worm. This has not happened yet but I still have two weeks of riding on Mongolian soil to have the opportunity to come face to face with the beast! Approaching Bayankhongor, after having gone through beautiful canyons, while riding on a large arid plateau, I finally came across a beautiful herd of about thirty camels, apparently free roaming and quenching their thirst at a muddy pond. I, of course, decided to stop so that we could enjoy a discussion together and which we did. 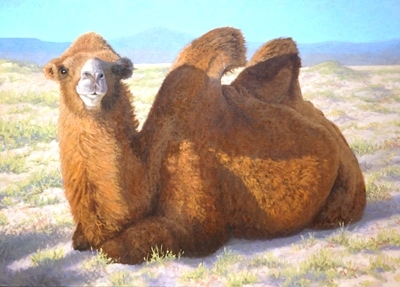 Although, it was obviously out of the question for me to get a hug from any of these Bactrians despite all of my begging. While in Arvaikheer, I actually had the opportunity to enjoy a camel ride on wheels! In Arvaikheer, I also noticed a truck transporting young Mongolian conscripts. When I finally arrived in Bayankhongor, I stopped at the comfortable Bayankhongor hotel located near the center square. There, I stored my gear and bicycle and knew then that I was stopping the expedition for at least a week, because: 1. I was not willing to give up quite yet on the idea of visiting more Mongolian hot springs. Indeed, I wanted to go and experience on a hitch-hiking excursion the Shargaljuut Hot Springs which I had not been able to get to by bicycle, directly through the mountain range because of the unsurmountable river I have mentioned above. Thankfully, the southern route was still opened to access the hot springs. 2. 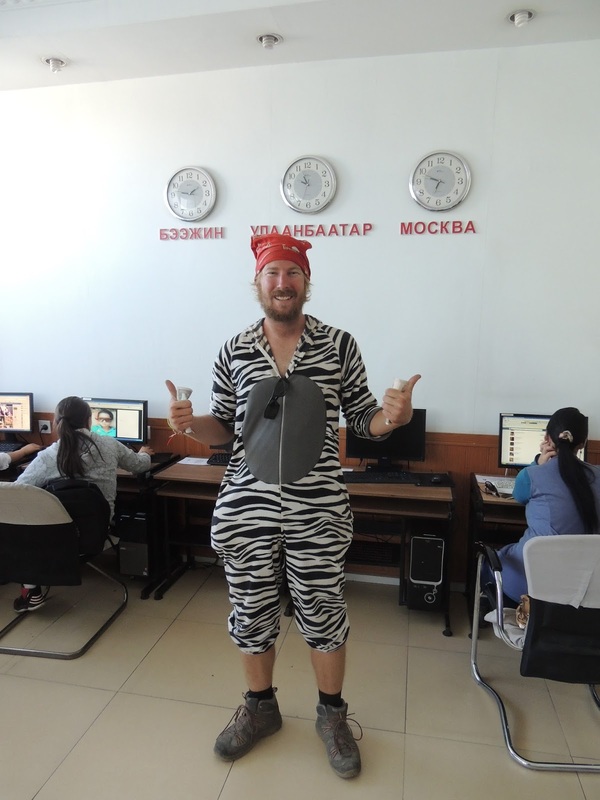 I also needed to hitchhike quickly 2000 kms round trip to the nearest Mongolian border in order to leave the country, so that I could re-enter it legally with a new thirty days Mongolian visa. This trip needed to be completed prior to the expiration of my Mongol visa on Sunday September 1st. So, the next morning, after having waited for 1 hour at the beginning of the Shargaljuut 60 kms long dusty trail, a first vehicle (a Nissan pickup truck) came through and offered me a ride. I was suddenly in company of two Bayankhongor police officers with their two respective young children. The officers, in similar fashion to quite a few middle-aged educated Mongolian provincials I have met, were quite eager to practice their rusty Russian with a foreigner. This is how we were able to communicate on our two hours ride up the mountain. On our way, we stopped at one of their friend, a yak herder who entertained us with large bowls of ayrag, dry curd, Өрөм (Clotted cream - white butter) and some Монгол Архи (Mongol Arkhi) which was a light tasteful liquor made out yak kefir. Upon arriving in Shargaljuut, my new friends helped me secure an abode for the night through the local police officer. I was given the kindergarten ger for the night, where I could peacefully sleep surrounded by toys while being this time, lullabied by the sound of grazing yaks, roaming around my tent. In Shargaljuut, I discovered once again that the hot springs baths contained into little huts and gers were to be used exclusively by sick patients. The mountains had actually more than 100 small springs, all of them marked with small wooden signs explaining what ailment they could each treat. As a "non-patient" visitor, I was allowed to either: - lay fully clothed on top of the steaming rocks which was an interesting, relaxing and new experience for me. I especially enjoyed doing this at night, while staring at the stars, except for the fact that my clothes became quickly drenched with the steam... - drink some of the purifying water at some of the springs. - sit at a wooden desk set up on top of a spring where I could inhale some of the steam in order to clear out my sinuse while widening my nasal passages, making it easier to breath and expel tainted mucus. I should have done my homework more thoroughly and read that for the most part, Mongolian hot springs are definitely more aimed at treating medical ailments rather than accommodating hedonistic pleasures as I have experienced in other parts of the world. Click here for more information on Shargaljut Hot Springs. Finally, I must say, that I still enjoyed having done this "excursion" and having taken time away from the expedition. The journey was interesting, and the landscape and fauna (mostly made of roaming yaks and soaring prey birds) was some of the most beautiful I have seen in Mongolia. On that night, back in Bayankhongor, and fearing the use of additional way-overcrowded Mongol buses and minivans, I decided to embark on my 1000 km "New Mongolian Visa Quest" to the Chinese border by hitchhiking. Hitchhiking (usually on trucks), is a recognized form of transport in Mongolia, where the country is so vast (size of Western Europe) and public transport is quite limited. It is seldom free and often no different from just waiting for public transport to turn up. It can be (if you are lucky) definitely less crowded that a minivan or bus but is tends to be much slower... Public buses on long distances have two drivers, relaying each other nonstop, having even a comfortable bed set up next to the driver for the one who rests. On the other hand, non-bus regular drivers WILL stop at ger cafés along the way to drink tea, eat, fix cars/tires. They will also stop to sleep and their vehicle will potentially get stuck in mud and river crossings, break down or even run out of gas. So, despite knowing all of this, I decided to take my chances and hitchhike. Did not have the best success for an "express ride": my combined four successive rides to the border took 48 hrs while my return on the overcrowded bus took a mere 25 hrs. On the outskirts of Bayankhongor, I was first picked up at 20h by Bimba, a Mongol truck driver with whom I spent the first 24 hrs, riding, cooking and eating soup together in his cabin. I slept at night in the pick truck he was hauling, while he was resting up in his cabin. Well equipped Chinese trucks and Russian made buses are definitely the best way to ford rivers but these Chinese trucks definitely lack an adequate suspension making the ride rather loud, uncomfortable, tiring and bumpy. These 24 hrs spent in this large truck definitely reminded me why I have had so much respect over the last few years for the truck drivers who spent their lives fixing their trucks and roaming through dusty trails and pistes in developing and third world nations. It is a very hard job. 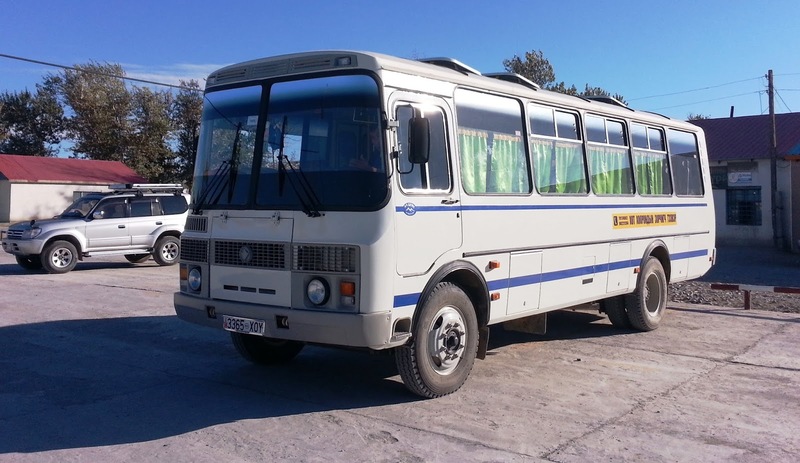 Once I reached Delger, since Bimba's route and mine were splitting, I hitchhiked a ride, strangely enough, on a not-so-crowded bus, full of Western Mongolian Kazakhs. I rode with them for the next 100 kms in order to reach Altay while we exchanged information in Russian. 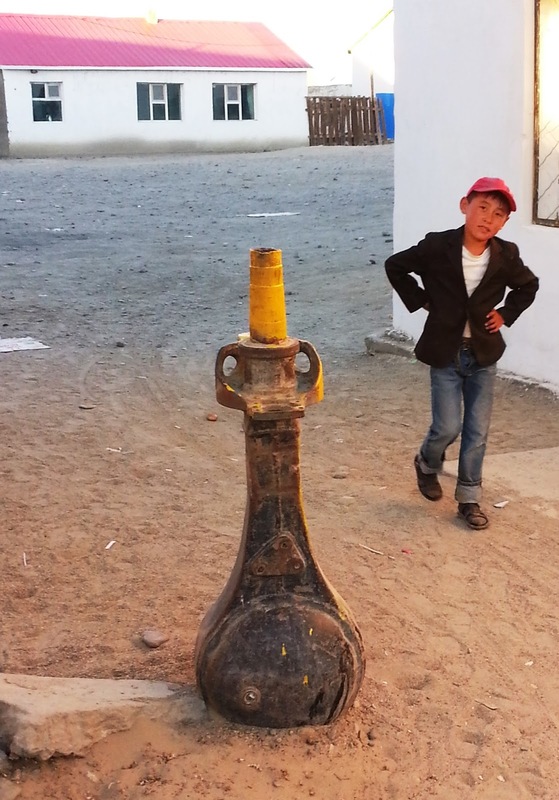 In Altay, since the sun was setting on a Friday night, which meant I could potentially expect to see a few Mongol drunks on the streets and on the road, I decided to play it safe and found a couple that welcomed me into their modest ger for the night. The next morning, I was able to secure my 3rd and final ride in a Toyota Land Cruiser jam packed with nine of us and quite a large amount of cargo. 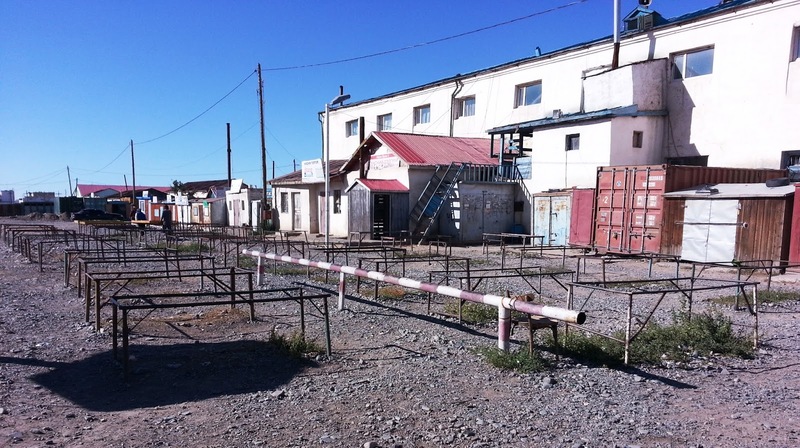 Once I arrived in in the town of Bulgan on Saturday night, I discovered that the Bulgan-Takashiken border was closed for the weekend, which meant that I could only be able to cross the border on Monday September 2d at 10am, 10 hrs after my visa had expired... 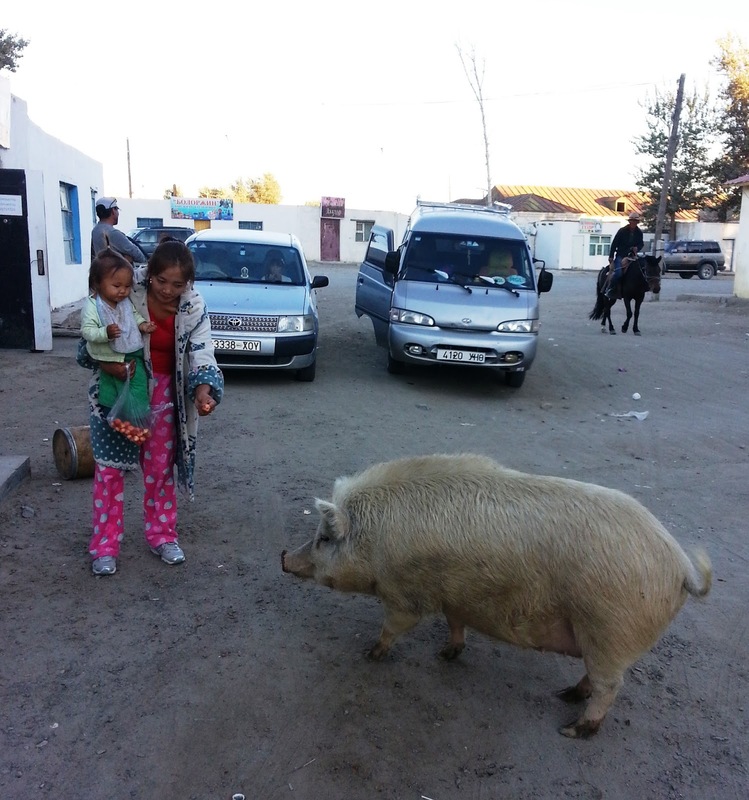 I spent the weekend in Bulgan in a small hotel where I met four Chinese businessmen hotel guests. On monday morning, they kindly allowed me to share their ride in their 4*4 to the border, 45 kms away. On the Sunday, while strolling through this interesting and quaint terracotta town of Bulgan, amongst roaming pigs, cows, horse-riding, camel-riding Mongols, zigzagging through a few poplar trees, I noticed quite a large amount of karaokes and ad hoc gambling parlors among the sandy streets where trans-border trafficking truck drivers, cashmere goat herders and "Ninja" illegal gold miners were apparently enjoying losing some of their disposable income. All of this activity, felt like I had reached a mixture of a gold mining "Last Frontier" town and a "border town" as I have experienced in other parts of the world, such as in Paraguay and Mexico. In the end, I found the local "internet hub/terminal" (for lack of a better word, since it was definitely not an internet "café"), where among young Mongol boys playing computer games and Mongol girls staring at pictures on Facebook, I came across Martin, a German hydraulic researcher, who is currently part of a Sino-Mongolian-German project consortium, (watercope.org) which brings together researchers, farmer-herder organisations, and policy makers/planners. Their goal is to develop and test technologies to better cope with climate change effects on scarce agro-ecological resources in the vulnerable steppe and semi-desert ecosystems of the Altai mountains and of the Dzungarian desert basin. 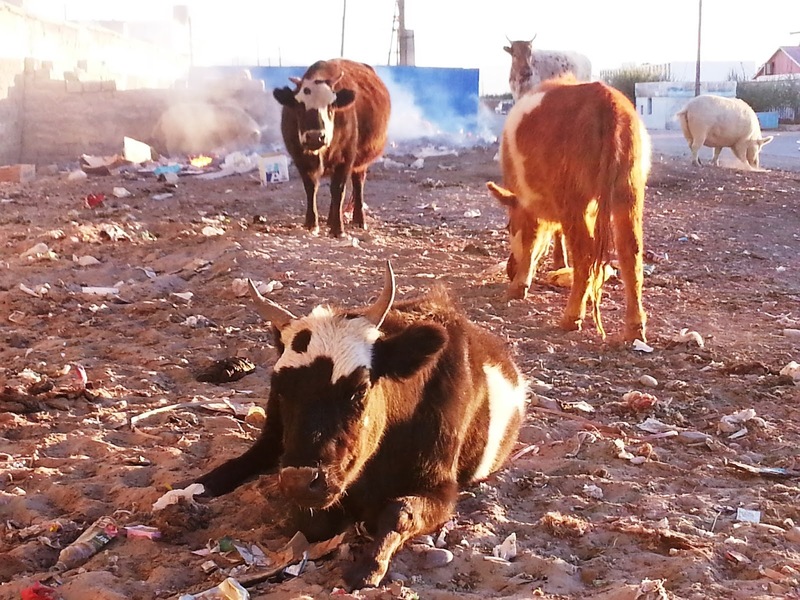 This transborder region is indeed facing severe conflicts resulting from increase competition to scarce water resources and pastures shared by Mongolia and China. The region is confronted to rapid population growth (on the Chinese side with the important influx of western Han Chinese in historical Uighur territory), transformation of pastoral land use systems (from central planning to market economies), changes in precipitation patterns and the decreasing availability of snow-melt water. The latter is evidenced by the rapid salinization of agricultural land. All of these changes also threaten the traditional livelihood of the local ethnic minority populations. I spent a very enlightening evening in their company, learning about their research as well as how they perceive the noticeable differences between this part of Mongolia and its adjacent Chinese counterpart. On Monday morning, arriving at the border in company of the four Chinese businessmen who were returning home, I was with my expired Mongolian visa, needless to say, a bit anguished after having experienced a few difficulties in my past at some other border crossing... Thankfully the Mongol immigration/border officer was quite lenient with me and accepted my circumstances. I was told that as long as I would step in China, I could return in Mongolia and obtain an additional 30 days visa which is why in the first place, I had undertook this five days long 2000kms journey. So, yes, I did step in China for approximately 10 minutes. However the whole border crossing process from Mongolia into China and back into Mongolia took three hours, during which my passport was scrutinized 20 times, my small travel bag searched five times and I was asked once for cigarettes by one of the Mongolian border guards. Not quite sure if this was usual for entering China lately or if it was because I was entering the Xinjiang province, which is highly guarded by the Hans. I am now furthermore eager to discover this in my own eyes when I will be cycling through the Chinese Xinjiang province in October! Coming back from China, I was quickly able to catch a ride to Bulgan and there, was actually excited to get a ticket for the non-stop 24 hours overcrowded bus ride to Bayankhongor. This was indeed an experience as well... On board were a mixture of Mongolian Kazakh and Mongolian Mongols, apparently mostly migrating (as sadly countless other Mongols feel forced to do) to the capital Ulaan Baatar. This meant that of course, they were trying to take with them as much of their belongings as they could. As a result, the bus was surely filled to the rim. We were all laying/squatting not on seats but on top of a large amount of packages which were placed on top of our original seats. On several occasions while going through a beautiful canyon, we were asked to get off the bus so that this mighty Russian beast PAZ 32053 could maneuver effectively through a rocky section of the trail which we were clearing by removing rocks along the way. This is what I call audience participation! Through the night, the bus rode over the rocky, sandy and bumpy trail, pushing forward such as a ship going through rough seas. All of the passengers huddled together on top of each of other in similar fashion to a cluster of grapes rocking back and forth from one side of the bus to the other. The driver to remain alert, was playing repeatedly a set of six Mongol songs at full blast. Although, from time to time, the music would stop and the Mongol cluster of grapes (of which I was now part of) would start to sing a few traditional Mongol songs in a beautiful tune. While listening to the cluster of grapes, I was definitely taken by Mongols' stoicism, able to endure such a form of travel. Having at any point in time an older respectable lady leg laying on top of my right one and a younger man's leg laying underneath my left leg, I was smirking at the idea of how some New-Age Americans feel the need to organize cuddle parties when all what they would need to do to satisfy their cuddling craving would be to enjoy some overnight Mongolian public transport. Some of the migrants were also very keen on storing above their heads, their plastic jerrycans of freshly pressed Mongolian sea buckthorn juice, which eventually, over the chaotic trail, bouncing up and down one too many times, exploded and started pouring on everyone's head in a nice yellow sticky cascade.... I can only presume that they are bringing this precious juice for the sake of their distant homesick relatives, who had previously migrated to the capital city. Once I returned finally safely in Bayankhongor, I abandoned this Ulaan-Baatar bound bus with its bouncing motley crew and returned to my hotel. I spend the next few days in Bayankhongor where: - I climbed the main hill where stands a stupa and a few cell phone radio towers. From there, I was able to have an impeccable view of the entire town and its immediate surroundings. I could clearly observe that this town had definitely been designed/orchestrated in a very orderly matter, with perfect rows of individual dwellings in its ger district, cantonment-style apartment blocks and parade grounds. 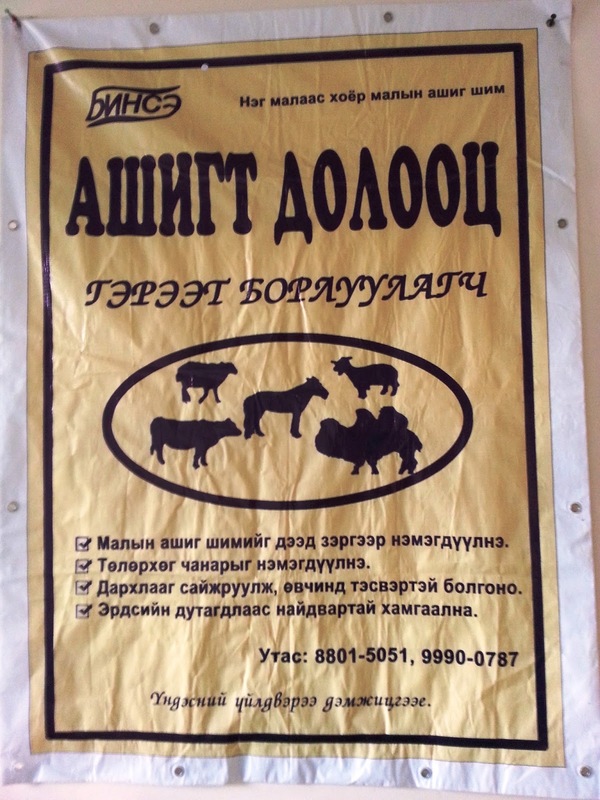 [Note: Not so surprising, since in April 1976, Bayankhongor was awarded the Outstanding Red Award for livestock, meat, and wool production.The aimag received substantial investment from the former USSR, including infrastructure and education. I explored the adjacent park where I was puzzled by an incredible hodgepodge of statues and rides which were rapidly decaying. I spent time admiring and reflecting at the nearby peaceful minuscule Namdolchoinhorlin monastery. I chatted with young children playing pool at the Dinosaurs Park where large prehistoric statues have been set up in celebration of the dinosaurs eggs which were discovered in the region in the 1920s by american naturalist Roy Chapman Andrews. I explored Bayangkhongor public market and its nearby outdoor "billiard square". In the market, I was able to meet Battuys in his bicycle shop who graciously offered me to fully tune my bicycle for free! That was a great surprise. Thank you once again Battuys! By the way, this is , I believe the only bicycle shop in at least a 1000 kms radius, and therefore I highly recommended it for any cyclists coming through the region. I met a few members of the Mongol Rally who were waiting in town for the potential repair of their wrecked vehicles after having crossed one too many rivers on their way from Europe to Ulaan Baatar. Launching nexusexpeditions.com website and resuming the expedition! I am excited to announce to all of you the release of our new website: nexusexpeditions.com. For that, I very much want to take the opportunity to thank Jesse Perrell, Gulnara Kieffer, Erik Nachtrieb, Dominique Blachon and Ikuko Spruce for the great support they have been providing to get this site off the ground! I also want to announce that I am departing Ulaan Baatar in the next few hours to return to Kharkhorin to resume the expedition. Indeed, in Kharkhorin, where I last stopped, I will be reunited with my bicycle and will start riding it southwest towards the Xinjiang province in Western China. Now, by all means, please feel free to peruse through our new website as well as through our new flickr albums, YouTube channel and Instagram photos. Over the next few months, we will of course continue to report the expedition progress in this "old school" blog, as well as in the new blog format available on our website. You can also subscribe to our expedition monthly newsletter and/or follow the expedition through twitter, if you wish. We plan to complement the website over time with more photo albums, videos, audios, written stories, expedition tips and detailed interactive maps. We will add "humanly translated" versions of the website in French and Russian in addition to the Japanese version which we have already begun to implement. Thanks to the tool provided by Translate.Google.com, the website and blog can also be automatically "partially" translated in 71 languages. Now, they are a lot of people I would like to thank in Ulaan Baatar for the kind hospitality they have demonstrated towards me over the last few months, as well as many stories and experiences I would like to share. However, at this stage, having spent enough time in front of a computer for a while... I prefer to take the necessary time to reflect on all what I have experienced in Ulaan Baatar while riding my bicycle through the western Mongolian steppe. This will lead me hopefully to be able to better share all of these stories in a near future. For the time being... I really need to go and ride my bicycle because I am overdue, I am nearly in a stew! After having taken a very long winter hiatus, spent away from the expedition for multiple personal reasons, I am currently located in Mongolia's capital Ulaan Baatar. I am here, "carving time" away from riding my bicycle, in order to wrap up the creation of a new "leaner and meaner" website for Nexus Expeditions, which will come to supplement this "old school" blog. The launch of this new website will be announced very soon. Stay tuned! In the meantime, I must say that I am definitely getting quite antsy to be able to depart Ulaan Baatar and start riding my bicycle again through the Mongolian steppe! So, over the next few days, I will return to Kharkhorin, 410 kms West of Ulaan Baatar, to be reunited with my Surly Big Dummy bicycle, aka "Long Crocodile" which has been hibernating at the Mönkhsuuri guest house. 175 kms: Kharkhorin- Arvaykheer, (southwestbound, via Khujirt ). 205 kms: Arvaykheer- Bayankhongor (westbound). Update on crossing Xinjiang Province: Because I am cycling through the Xinjiang province, I am neither required to have a special permit (in addition to my valid passport and Chinese visa) nor to have a guide on my route. However, currently, non-Chinese overlanders traveling by motorcycle or cars in Xinjiang province are required to have a guide. 408 kms: From Dushanzi Qu to Chinese-Kazakh border crossing located in Khorgos. Click here to read about Information/Map on all Central Asian Border crossings provided by Caravanistan. 134 kms: from Chinese-Kazakhstan border crossing Khorgos-Khorgas to Shonzhy. 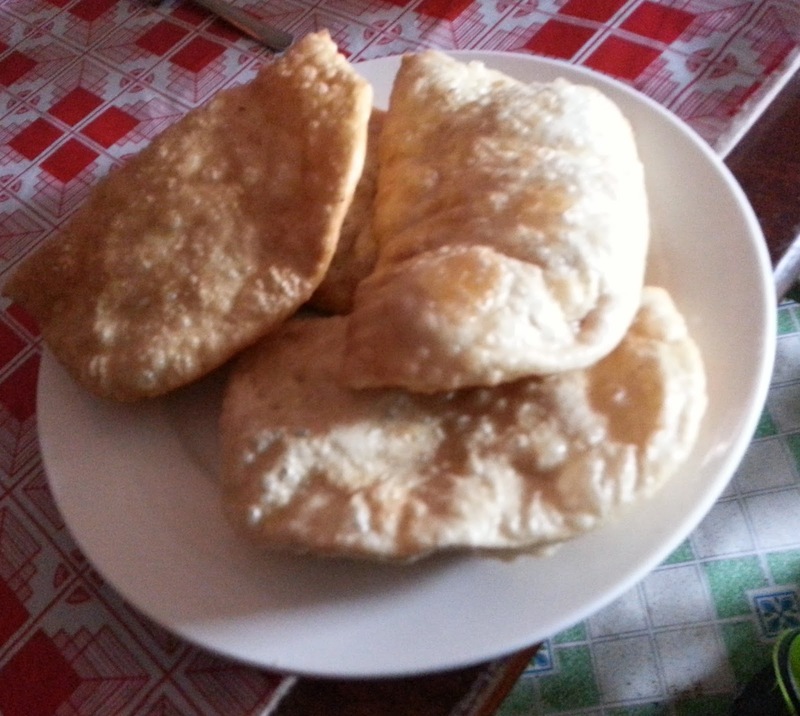 (via Verkhniy Penzhim, Akkent, Zharkent, Koktal). 233 kms: from Shonzhy to Almaty. 5/22/2013 Update - Crossing the Chinese - Kazakhstan border on a bicycle? A bicyclist wrote: "I crossed the border with my bicycle on May 10th 2013, and I was able to bicycle through the 7,2km corridor between the two borders. All sides were friendly and helpful. No Problem at all. " This is good news! However, if I am not allowed to cross this border via human power (on my bicycle or walking through it) I will then have to go through another China- Kazakhstan border such as the Dulart (China) Kolzhat - (Kazakhstan) border crossing. In addition, in Kazakhstan, I am NOT required to neither have a special permit (in addition to my valid passport and Kazakhstan visa) nor a guide on my route through Kazakhstan. I got alerted last year while reading this information on Kazakhstan border zone permits requirements. "Special Permits are currently only needed for the high Altai nature reserve. You would only need a special permit to go south from Katon Karagai into the Markakol Nature Reserve, and to go east from Uryl, at the end of the Bukhtarma valley east of Katon Karagai." - Northbound through Kazakhztan and back into the Russian Federation. 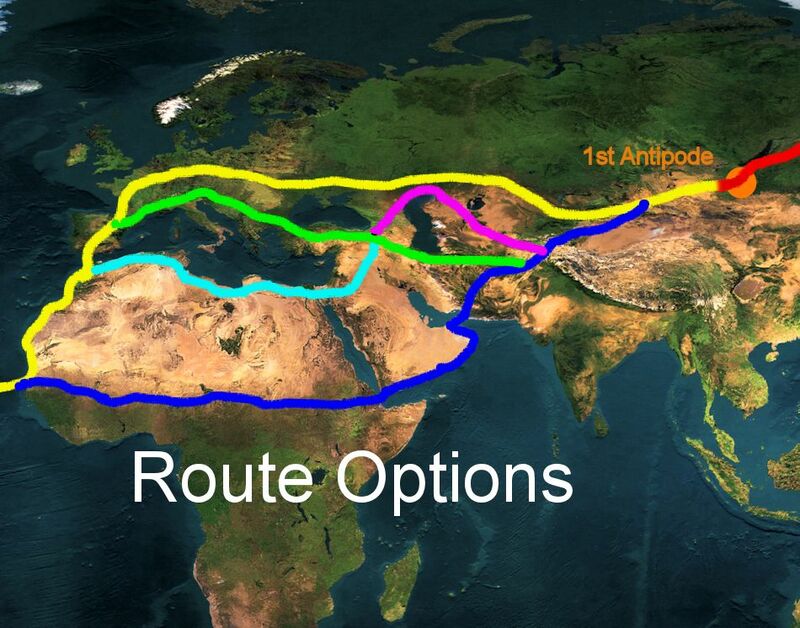 I obviously still have a few options to pick from in order to travel from Almaty to the Western coast of either Europe or Africa and then to start my row across the Atlantic Ocean. I am also currently planning future sections of the expedition and learning whether or not I could get the permission to human-power cross the Strait of Hormuz between Iran and Oman and human-power cross the Red Sea between Yemen and Djibouti. Finally, I am currently considering the Pros/Cons for each different launching option for my row across the Atlantic Ocean: Portugal, Senegal, Namibia or South Africa. Wikipedia article on Ulaan Baatar. Lonely Planet information on the Mönkhsuuri Guest House in Kharkhorin (Karakorum), Mongolia. It allowed me then to think about and start sharing some of the experiences I have had so far over these Nexus expedition years. 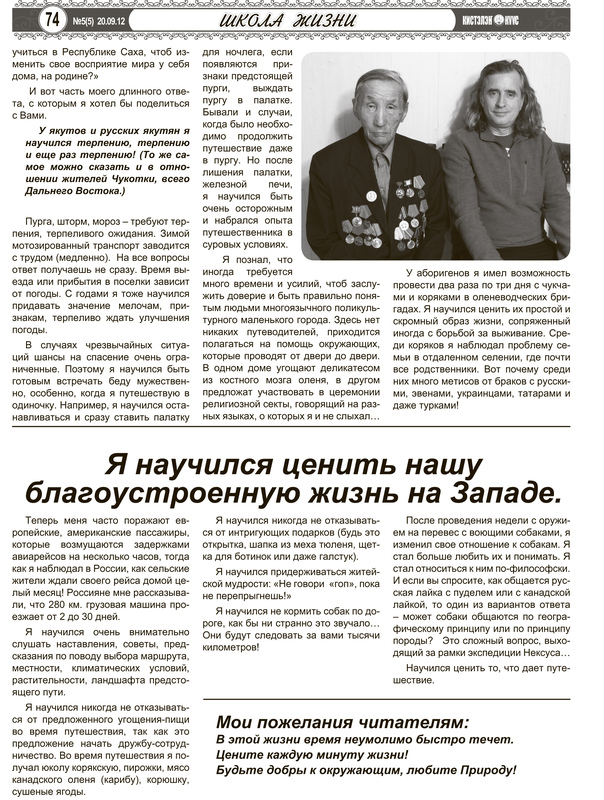 Now, almost a year later, and as I am about to depart again out of Ulaan Baatar, Mongolia, thousands of kilometers further, on the next section of my expedition, and while posting our latest video teaser, I have finally decided to share this article printed in russian with my original answers in english printed below. Для чего решили совершить кругосветное путешествие? Why did you decide to travel around the world? In 2006, when Karl Bushby and I planned on crossing the Bering Strait by foot, and therefore being the first men to complete this crossing Westbound in modern times, we thought that it will take us at least 3 years to succeed. When we succeeded on our first attempt, and landed in Russia, in the country of some of my russian ancestry, I felt incredibly blessed and decided to formulate in my head this circumnavigation plan. 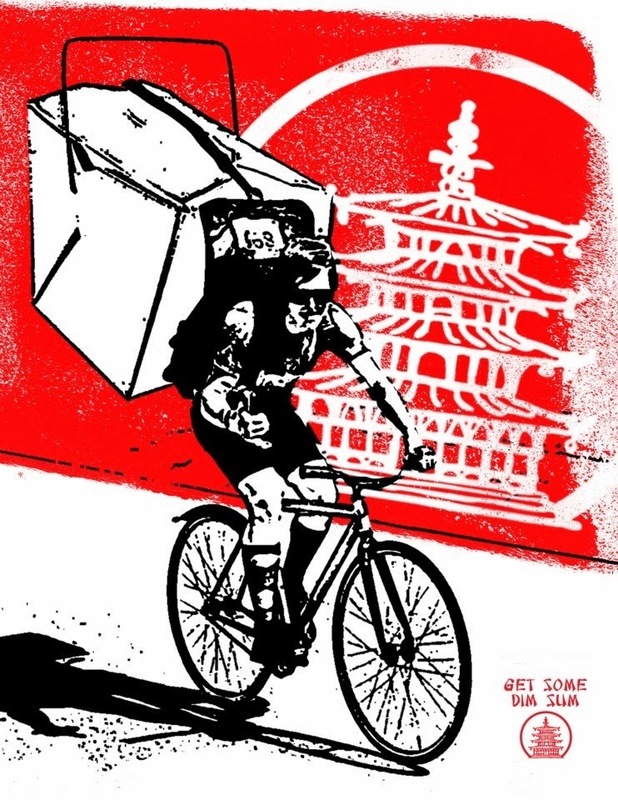 Indeed, I had been already for many years interested with the idea of cycling through specific parts of the world such as Central Asia, rowing across the Atlantic and kayaking from Seattle to Anchorage. With this idea of circumnavigating the globe by human power, I would then achieve these dreams and conveniently “connect the dots” along the way. Чем народ Саха отличается от других? How different are the people of Sakha from the others? After having travelled by foot through Alaska and Far Eastern Russia where I was exposed to Athabascan, Inupiyak, Yupik, Chukchi, Koryak and Eveny cultures, I was surprised to discover how even more vibrant was the Sakha culture, language and community, even though it had been severely repressed during the soviet regime. Indeed, Gulnara and I quite enjoyed stopping along our way on the Kolyma Highway (M56) to visit and experience so many Sakha local museums, monuments, prayer flags, totems and wooden statues. A strong testimony to your rich heritage. We quite enjoyed as well learning how strongly alive is the Sakha language today, spoken by so many Sakha. Coming over from Anchorage, Alaska, the Sakha have also been the first large northern farming community that I have encountered since I started 7200 kms ago, and their very much cherishing their herds of precious horses and cows. Walking down the streets in the center of Yakutsk, I also enjoy seeing this large and modern growing Russian city with a such large percentage of native Sakha . Что такое «тонкий мир» (волшебство,мистика)? What is a " ethereal world" (mystic, esoteric)? To me, it is how connected one can be to Mother Nature. For example, I noticed when I had the pleasure to spend time in a Chukchi and a Yakut reindeer brigade how connected they were to their dogs, reindeer and land. Sensing every aspect of their lives. The soviets tried to eradicate shamanism out of this land. As a result, you now have very few shamans in the Russian Far East but this region never completely lost its mystic expressed through its inhabitants and their deep connection with Mother Nature. Finally, I strongly believe in the need for coexisting among human beings of different beliefs/faiths. In the end, I believe we all aspire to the same. I am always intrigued to see people in all parts of the world, taking time away from their life, to pray in a communal way, whether it is in temple, church, synagogue, mosque, the middle of the tundra or the desert. And that I respect and admire! One strong example of such an experience happened last year when I was invited to spend a few nights of religious services with a small community of Eveny Baptists in Evensk, Magadanskaya Oblast. Even though I could not comprehend the singing and the shouting, I definitely felt an intense energy while observing and experiencing speaking tongues ceremonies in this communal environment. В чем сила наперстка,подаренного корякской женщиной? What is the power ( strength) of the thimble made out of reindeer antler, given to you by a Koryak woman? Along my way, I have indeed felt protected by this talisman. In the past, I have also received other talismans from Grichka, a local gifted chukchi sculptor in Lavrentiya, Chukotka in the form of beautifully carved walrus teeth. I also noticed that these beautiful pieces often radiate a lot of heat, against my skin! Finally, I have very much enjoyed giving some of them to close family members/friends to protect them as well and being able to share a bit of my experience with them. Что чувствовал или видел при церемонии индейского шамана? What did you see or feel during the ceremony with a Native American shaman? In February 2006, I had the pleasure to spend time with Joe Garnie, a well-respected Inupiyak musher in Teller, Alaska. Joe Garnie invited me to spend a few hours in his small sweat lodge, adjacent to his home and buried under the snow. We spent together a few hours talking about a wide variety of topics, mostly quite political where I learned a little what it meant to be an American Inupiyak in the 20th century and 21st century. The pros/cons of sending children from the village to far away boarding schools in order to receive better education. He explained to me as well that his sweat-lodge ceremonies were no longer forbidden but still not well regarded by the local authorities which are influenced by the local protestant and catholic churches. Joe performed a ceremony to welcome me in his sweat lodge and therefore in his life. After having spent together a few hours in this very hot and small sweat lodge, buried in the snow, we retrieved to his home where he offered me an ultimate smorgasbord of local favorites: frozen muktut (whale fat), frozen seal meat, dried seal meat, frozen trout, smoked salmon, and finally smoked salted white fish with seal oil for seasoning. A great and interesting evening that I will hopefully never forget! Что сделал бы в тайге при встрече с медведем? What would you do if in the taiga you will meet a bear? While trekking/skiing/cycling over the last few years, I have seen polar bears and numerous brown bears. In Russia, I am not allowed to carry any firearms since I am not a russian citizen and therefore can only protect myself with bear pepper spray and flares in the event of a bear attack. I believe that the Sakha word for bear is “e-err”, which is the same as for “grandfather”. I have the same philosophy, and therefore treat bears with the respect they deserve, although taking all the precautions that I can take and above all keeping my distances. Как поступите,если приснится сон или кто-то предскажет,что лучше вернуться? What will you do if in a dream, or if someone will predict that it is better to come back/stop? This happened in the past. For example, in November 2008, I returned in Vayegi, Chukotka to continue my trek. After about a week, barely making any progress while pulling my sled on a not-yet completely frozen river and having to deal with a very short amount of daylight, I decided to stop my expedition in order to return in mid March 2010 at a much more appropriate and safer time. This was then definitely the right thing to do: to conceed temporarily to Mother Nature so that I could come back at a better time and move forward more efficiently. How do you understand love? Love your fellow human beings, your environment, other species and yourself. Love to share moments of your life intimately with a closer partner, family members and close friends whom you cherish very much. Mystical experiences encountered on your way. Besides the communal religious experiences I have described in one of my previous answers, I have had also several instances over the years where I have felt mystical experiences while facing pressing adversities. Indeed, it happened that in some instances, when pushed to my physical limits, while pulling my sled through a storm or else, I faced somewhat of "a mental breakdown". Often then, exhausted, I would set up camp for the night (if possible or in one occasion rolled myself in my tent) and took the time needed to sit down and collect my thoughts. The next morning after a good "cooling down" period / night, I was then better able to finally foresee the potential solutions to my problem which I could have never processed the night before, while under stress. Talking about feeling mystical, on several occasions, I have also found, laying on the side of my trail, in the middle of empty landscapes, "God sent" replacement items that I was dearly missing/needing such as a left glove, after having torn mine apart in -30C weather! Use your time on earth very carefully, life goes by extremely fast! Be kind to others and the environment. Learn, read and experience the outdoors! Finally I want to share with you the following. Here is a part of my long reply that I wanted to share with you. I believe that this does not just applies to Chukotka but very much to the whole Far Eastern Russian region where you really need to learn to be able to wait patiently. Whether it is to wait for a “purga”/storm to pass, to get motorized transport in/out of a village, acting as a "starting point" or "ending point" to your expedition, or even to simply get an answer to a question. Over the years, I have also learned to respect the elements, able to wait for better weather to depart. In the case of an emergency, the chances of a rescue are in the Russian Far East very limited and therefore I have learned to become somewhat “risk–adverse”, especially while traveling alone. For example, when threatening “purga” clouds approached, I learned to stop promptly and safely set up camp for the night while I still could. Of course, I have had several occasions where I had to push through nights and storms to make it to the next village but those were occasions where I felt I was obliged to do so. After having lost over the last few years a tent to a stove fire and two tents simultaneously to a storm/ "purga" with my trekking partner at the time (! ), I learned to be very careful and methodical with my gear while either trekking or setting up my camp. I have also learned to be more grateful for the somewhat easier comfortable life most of us can attain in the western world. It now often amuses me to hear Europeans and/or Americans whining about a few hours plane delays when I have seen Russian villagers waiting up to a month to catch a flight back home! Or when I was told that a 280 km truck transport could take anywhere from 2 to 30 days! I have learned to listen very carefully to the locals for any indication on what better route/march to follow, taking into consideration the relief, vegetation and climate I was about to experience. Russian, Koryaks and Chukchis also taught me the art of welcoming impromptu guests at all times of the day or night! Often able to share at a moment notice, a cup of tea, biscuits, cheese, bread and kielbasa to new guests and even sharing their 2 days old delicious borscht for their closer friends. Often, when I come across people who have heard quite a lot about me through common friends and/or local media; I notice that they often do not divulge this at first, but rather prefer wait and see me, struggling in my elementary Russian language, explain what Nexus Expedition is all about. It almost felt then as if I was passing a "test", where they wanted to see how I was going to describe myself and my expedition to them. Needless to say that Far Eastern Russians very much respect self-made MODEST men/women and quite dislike anything that could resemble bragging. So, contacts are often quite lukewarm at first and rapidly become much deeper, kinder and more meaningful once I have passed this initial "test". Older far eastern locals also, quite well used to an isolationist Soviet regime, often quite dislike being photographed and even more video filmed, let alone by an unknown foreigner! Along the same line, as I am progressively improving in my broken Russian, I am able to converse about more and more contentious topics such as international and national politics where I have recently learned that I need to tread very carefully, as anywhere else in the world, making sure that I do not brush wrongly the ego of patriot Russian friends. I have learned that sometimes, it takes an incredible amount of time to scratch the surface, gain people’s trust and being able to better understand a multicultural small town, such as Evensk in Magadanskaya Oblast where coexist mainland Russians, Koryaks and Evenis. There are definitely (and somewhat thankfully) no travel guide book for most of the Russian Far Eastern region. As a result, I have simply learned to entrust the people that surrounded me, being willing to experience almost everything once, letting them guide me from one door to the next, whether it meant eating some raw reindeer bone marrow or including me in a religious sect speaking tongues ceremony. I have also learned to better respect the people I came across and learned to better listen to their stories, whether it was the hard time they spent in Russian jails or their contraband of Russian икра (ikra- salmon roe) and cамогон (Russian homemade potent alcohol). Once in Anadyr, a Russian friend told me in reference to another standoffish foreigner: “If Russians don’t like you, they won’t help you, no matter what you are willing to pay them!” and this is definitely true! In Western Russia, money might be more a driving factor but in the Far Eastern region, it is a different ball game, where respect and friendship matter much greater! On a sadder note, I have continued to learn the ravages that alcoholism has done in this northern part of the world (Alaska and Far Eastern Russia) among natives as well as among Russian and American expats. It amazes me to see how many people have either lost their lives, hands or fingers due to alcoholism or alcohol related accidents…. I have met once a man who even severed his own left hand with a butcher knife during a violent act of drunken debauchery (yes, that is sadly true!) while others have had to be amputated as a result of having passed out drunk, gloveless while laying in a –40°C blizzard. While I was fortunate enough to be able to spend twice three days in company of a Chukchi and a Koryak reindeer "brigade"/team of herders, I have very much learned to appreciate their simpler and modest way of life. I have learned to better appreciate the traditional arduous way of life some of them are fighting to save. I have also learned how hard it is to date and/or look for a spouse when you are a Koryak living in a remote village, where everyone around you is or might be a distant relative! This might partially explain why one sees so many “metisses” in the region, potentially a conscious or subconscious way to regenerate the gene pool with either some White Mainland Russian, Even, Ukrainian, Tatar or even Turkish blood! I have learned more about what defines the Russian дуща (soul) as well as what it meant to be a “Russian expat” / mainlander living far away from his Материк (matirik/mainland). I also learned what is meant to be nostalgic of the Soviet pass. Potentially nostalgic indeed because for some of the western russian settlers in the Far Eastern Russian region, it meant "better financial times" when one could have been better off. Although, sometimes, I wondered if this nostalgia was not also a reflection of them simply missing their younger years. I have also clearly learned how frustrated are some of the 2nd generation white Russians settlers who envy and miss the life their parents had under an heavily subsidized soviet regime. Often unable to now find good work in the region, they cannot even afford to buy a plane ticket to move themselves and some of their more precious belongings to the Материк (mainland). Indeed, the sale of their isolated and obsolete Far Eastern apartments could only often fetch $3,000 max, making it quasi impossible to start a "new life"in another part of Russia. White Russians settlers also taught me the weekly ritual of ваия (banya)! Learned how: "В ване ьсе равню!" "In the Banya, we are all equal!" To be able to move forward, I reminded myself then the need to set small and intermediate goals that I could more reasonably conceive and achieve, instead of getting alarmed by thinking of the Nexus expedition route that still needed to be accomplished. Indeed, they could quickly start to follow you for hundreds of kilometers which would make then their forced repatriation to their home village, somewhat of a complicated matter. I have learned to never refuse a cup of tea, pr a meal offered along the way, which often could become the invitation to the start of an enriching friendship. On the same note, I have also learned to never turn down an invitation to a local municipal or private homemade banya! I have also learned to never refuse gifted food items (whether it was юкола- Koryak dried salmon skin, Пирожки, caribou meat, dried delicious корющка fishes, or dried berries) or intriguing gifts such as a long view, binoculars, a hat made of seal fur, shoe polish or even a tie! I have learned to believe in Russian "Судьба" / Fate, Destiny! to justify if something was meant to be or not, and whether meeting someone on the trail was also meant to be or not…. I have also learned the importance of gaining contacts in the Russian Far East. When a friend/new acquaintance was telling me to contact person X or person Y, upon landing in the next village, I definitely followed suit! It often meant a welcoming home, a warm bed and even potentially a great meal! “We will get there when we get there!” and deeply learned to appreciate the journey along the way. And I also learned to better respect and listen to a wide spectrum of persons and personalities. After having spent a week on trail with three roaming dogs, I feel that I have also changed quite a bit in relationship to dogs. Indeed, I strangely feel now much closer to them, much more attentive and forever wondering what are their deep canine philosophical thoughts. And since you ask, I still wonder if a Russian husky communicate better with a Russian poodle or a Canadian husky? In other words, do dogs communicate according to their geographic location or their creed? I am finally back in Ulaan Baatar, Mongolia getting ready to start the next section of my human powered expedition which should take me on my bicycle from Mongolia to West Africa, via China, Kazakhstan and multiple other countries. This Nexus 2012: Far Eastern Russia - Mongolia, Section Teaser is part of the development of a Nexus Expeditions' feature film. Expedition content is released to satisfy the "real-time"audience and keep the expedition media relevant online, since the expedition is currently under way. This section teaser is the latest in a series of teasers and clips released by Erik Nachtrieb, Dimitri Kieffer and 1iOpen Productions for Nexus Expeditions. If you have missed video content in the past, click this playlist on 1iOpen's Youtube Channel for more Nexus Expeditions clips and teasers. 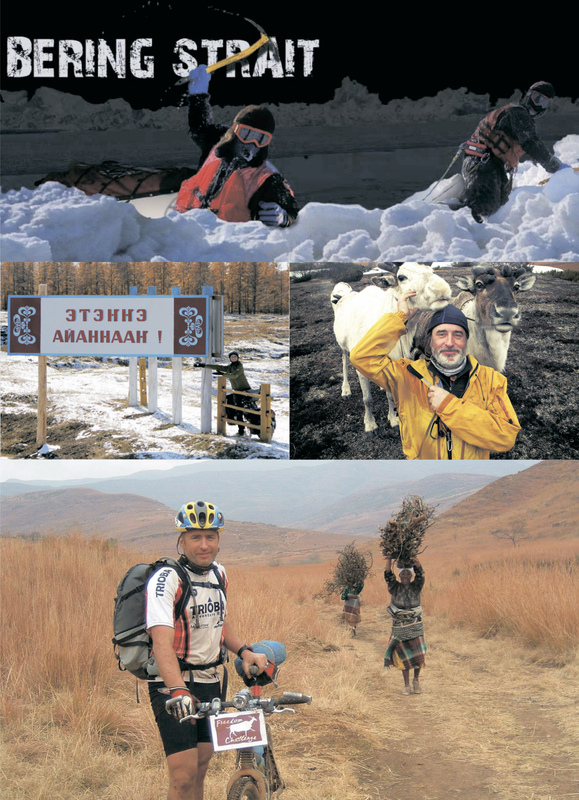 Finally, in the next few days, I will post updated information on this blog to outline what is the 2013 planned route as well as explain what has been accomplished since last November, when I last stopped cycling in Kharkhorin, near the ancient Mongolian capital of Karakorum. Now, we hope you will enjoy this video section teaser! In the vicinity of the Erdene Zuu Monastery, in Karakorum, the ancient capital of the Mongolian empire. On Friday Nov 2d 2012, I decided to stop cycling until late March 2013, because I was facing subsequent snow storms, lower temperatures (-25C), a smaller amount of daylight hours per day and finally had to deal with a bad case of food poisoning. I was lucky enough to be staying then in a warm ger at the Mönkhsuuri guesthouse in Kharkhorin, in the vicinity of the Erdene Zuu Monastery, in Karakorum, the ancient capital of the Mongol Empire. Of course, the thought of getting back to trekking and skiing while pulling my old sled, (as I used to do in Far North Eastern Russia and Alaska during winter months) crossed my mind but knowing that I will definitely be able to make faster progress on a bicycle when I return in Spring 2013, I decided to be reasonable and stop in the close vicinity of the Erdene Zuu Monastery, in Karakorum, the ancient capital of the Mongol Empire. I definitely want to write much more, post pictures and videos on the last section I went through, as well as write about future plans but for the time being I have pressing issues to address that I need to prioritize carefully during my limited time off my bike.